Reciprocal Learning is a cooperative learning technique that works really well for material that students need to review and/ or practice. 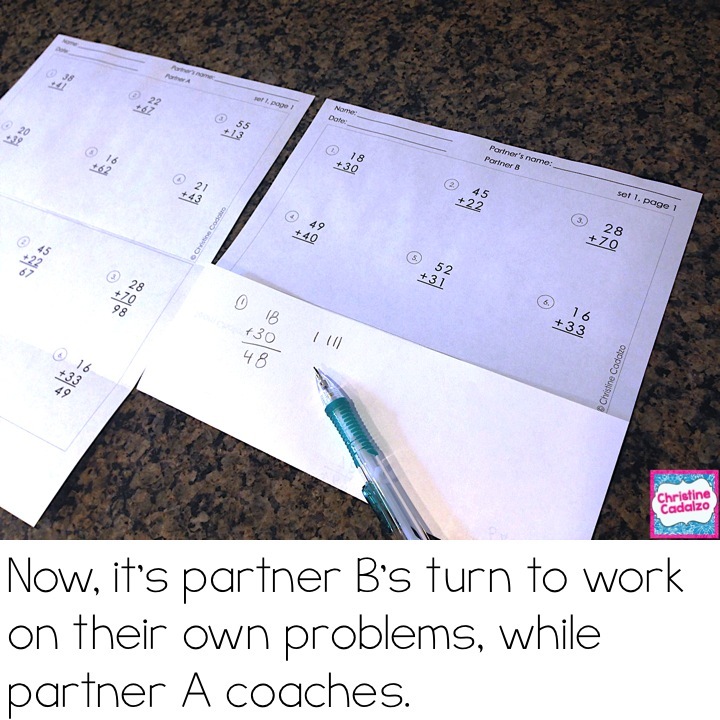 In reciprocal learning, students work in pairs to coach each other through problems. Ideally, the ‘just right’ level for reciprocal learning work is something the students have already been taught, and can mostly do on their own. It’s meant for material that students are working on, but might still be making errors, having minor misconceptions, and developing fluency with. I’ve always struggled to find productive ways for students to practice computation and develop computational fluency. It can be boring and even counterproductive, especially if kids are just rushing through to finish. I always had a hard time getting students to focus on the process and on accuracy. Some students would make silly errors and not even notice. Others would know the steps, but just needed practice to complete computation problems fluently. And still other students would get confused if there was any kind of variation in the process, because they only knew the steps, but didn’t have any real understanding behind it. When I heard about reciprocal learning, I thought: FINALLY! 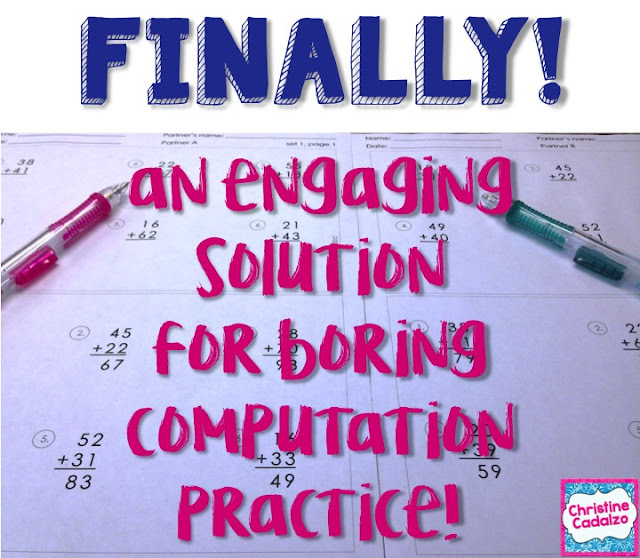 an engaging solution for all that boring computation practice! So, what is reciprocal learning exactly? -works really well for productive practice- especially for things like compuatation practice!! Why does reciprocal learning work? 1. The students work in pairs. Each student has the answers (or some other way to check) for the other’s problems. 2. Student A works on his or her problems. Student B watches and ‘coaches’ them when they get stuck, make a mistake, or have a question. 3. When the first student completes their problems, the other student starts working on his or her set of different problems. Their partner now gets to watch and coach them. 4. If time is more of an issue, the students can switch off every problem, instead of of switching after the whole page. 5. Ideally, when they finish, there should be a problem for them to work on together. 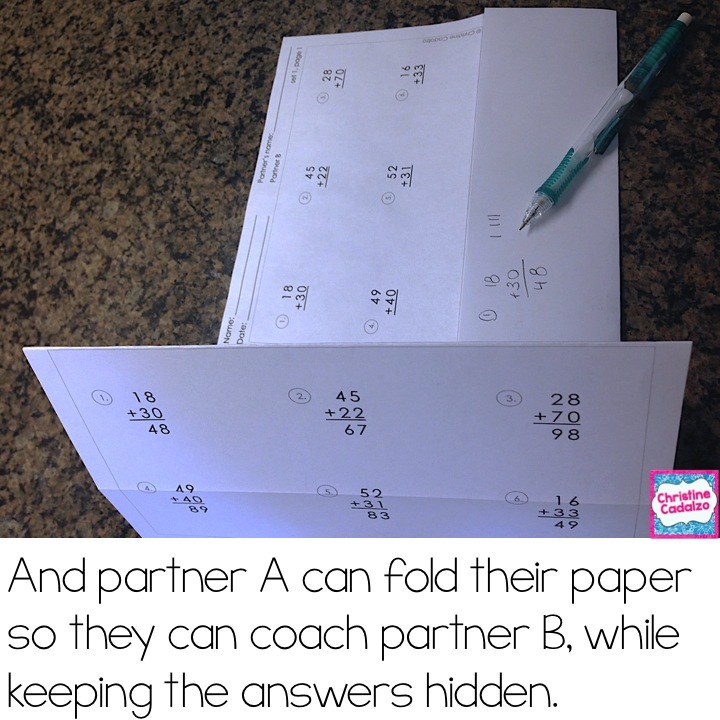 Open-ended, higher order thinking problems are perfect for this, especially if there are multiple solutions. 6. When the students are mostly finished, teachers can lead strategy discussions. These can focus either on the content and sharing strategies for these specific kinds of problems, or can be strategies for helping your partner when they get stuck, make an error, or have a question. Students can even do some writing or keep a journal on these topics! Like this idea? Try it for yourself! 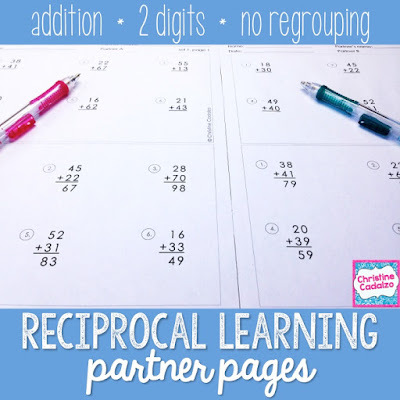 Get these reciprocal learning addition practice partner pages for FREE!! 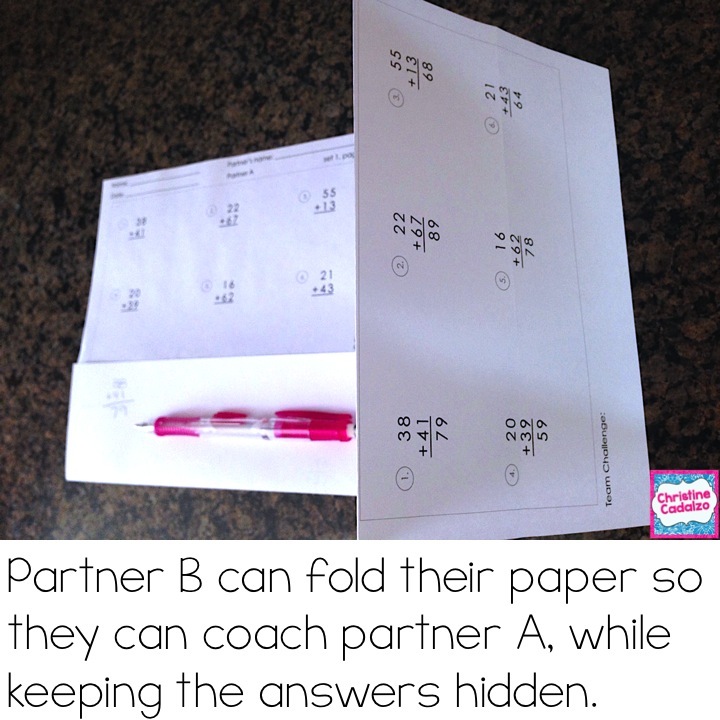 Get these addition practice partner pages FREE! !